It's simple, really. We're breaking down the one true Transformers Movie with each podcast covering one minute of sequential screen time. Each weekly episode will deliver trivia, analysis, and commentary with an embarrassing lack of quality and sophistication. We'll update weekly--So you've got about 85 weeks of quality TFTM content to look forward to! Join Transformers fans Caleb, Ryan, and Aaron as they explore the 1986 animated classic, Transformers, the Movie, one minute at a time. 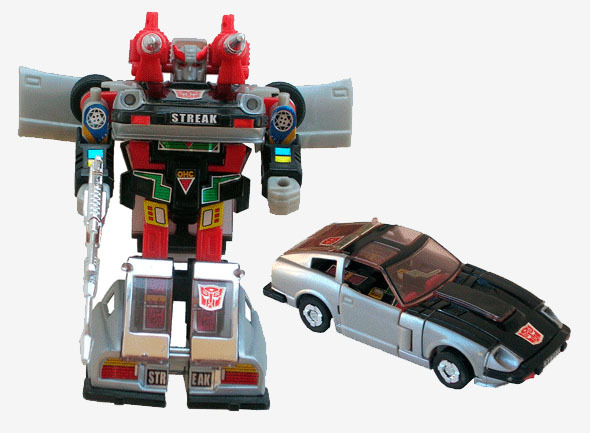 Aaron's introduction to Transformers came on a cold Christmas morning in 1984 when he unwrapped the Autobot gunner, Bluestreak. The brand dug in its claws and only briefly let go. 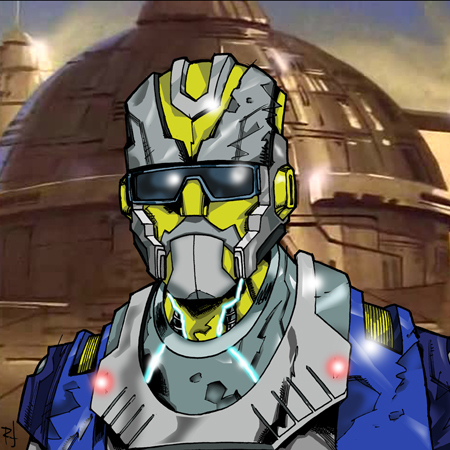 “I experimented with not loving Transformers in my late teens and through my twenties,” Aaron stated. “Y’know, it was college..."
Today, Aaron collects classic G1, Masterpiece, and third-party figures. His favorite character? Ryan is a writer and graphic designer, but in reality he staves off homelessness by being an accounts receivable clerk. Also, he hates writing about himself in the third person. Memories from his childhood are hazy enough to suspect something really terrible went on that he has blocked out, and every attempt to nail down a time-stamp results in, “I think I was like ten when that happened.” So the safest guess is that he got into Transformers through endless syndicated episodes on afternoon television. A huge number of Ryan’s G1 Transformers were gathered from garage sales when he was a kid, so Optimus had no hands or gun, and Devastator was missing his goddamn head. But it’s not like the G1 toy Devastator could actually be played with without immediately falling apart, so just as well. Caleb is a childhood friend of Aaron and Ryan and lives in a van down by the river. Not particularly a die-hard Transformers fan, he participates because the van is cold and lonely and the podcast allows him the chance to sneak food out of Aaron’s kitchen and use an indoor bathroom. His first Transformer was Huffer, which he quickly lost out in the yard and then found several years later while playing with his Stompers.